If you have trash, construction debris, old appliances, old furniture, old computers, old mattresses, or any other type of trash and you want it out, then its time to call Star Junk Removal Sherman Oaks today! Star Junk Removal Sherman Oaks makes it fast, easy and affordable to to get your back yard, garage, or attic the way it was . We do ALL the work and offer competitive prices for all your junk removal needs. 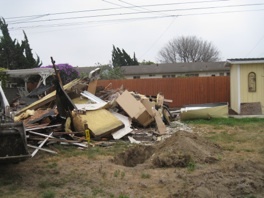 Call (818) 332-9695 for Star Junk Removal Sherman Oaks and get your free estimate.